Christianity is really the only religion that sets forth the Supreme Being as Love. The gods of the heathen are angry, hateful beings, and are in constant need of appeasing. (1) Scriptural statements of the fact. 1 John 4:8-16--“God is love.” “God is light”; “God is Spirit”; “God is love.” Spirit and Light are expressions of God’s essential nature. Love is the expression of his personality corresponding to His nature. It is the nature of God to love. He dwells always in the atmosphere of love. Just how to define or describe the love of God may be difficult if not impossible. It appears from certain scriptures (1 John 3:16; John 3:16) that the love of God is of such a nature that it betokens a constant interest in the physical and spiritual welfare of His creatures as to lead Him to make sacrifices beyond human conception to reveal that love. (2) The objects of God’s Love. aa) Jesus Christ, God's only-begotten Son, is the special object of His Love. bb) Believers in His Son, Jesus Christ, are special objects of God’s Love. John 16:27--“For the Father himself loveth you, because ye have loved me, and have believed that I came out from God.” 14:21-23--“He that loveth me shall be loved of my Father. ...If a man love me...my Father will love him.” 17:23--“And hast loved them, as thou hast loved me.” Do we really believe these words? We are not on the outskirts of God's love, but in its very midst. There stands Christ right in the very midst of that circle of the Father’s love; then He draws us to that spot, and, as it were, disappears, leaving us standing there bathed in the same loving-kindness of the Father in which He Himself had basked. cc) God loves the world of sinners and ungodly men. John 3:16--“For God so loved the world” was a startling truth to Nicodemus in his narrow exclusivism. God loved not the Jew only, but also the Gentile; not a part of the world of men, but every man in it, irrespective of his moral character. For “God commendeth his love towards us, in that, while we were yet sinners, Christ died for us” (Rom. 5:8). This is wonderful when we begin to realize what a world in sin is. The love of God is broader than the measure of man’s mind. God desires the salvation of all men (1 Tim. 2:4). (3) How the Love of God reveals Itself. aa) In making infinite sacrifice for the salvation of men. 1 John 4:9, 10--“In this was manifested the love of God towards us, because that God sent his only-begotten Son into the world, that we might live through him. Herein is love, not that we loved God, but that God loved us, and sent his Son to be the propitiation for our sins.” Love is more than compassion; it hides not itself as compassion may do, but displays itself actively in behalf of its object. The Cross of Calvary is the highest expression of the love of God for sinful man. He gave not only a Son, but His only Son, His well-beloved. bb) In bestowing full and complete pardon on the penitent. Isa. 38:17--“Thou hast in love to my soul delivered it from the pit of corruption: for thou hast cast all my sins behind thy back.” Literally, “Thou hast loved my soul back from the pit of destruction.” God had taken the bitterness out of his life and given him the gracious forgiveness of his sins, by putting them far away from Him. Eph. 2:4, 5--“But God, who is rich in mercy, for his great love wherewith he loved us, even when we were dead in sins, hath quickened us together with Christ,” etc. Verses 1-3 of this chapter show the race rushing headlong to inevitable ruin. “But” reverses the picture; when all help for man fails, then God steps in, and by His mercy, which springs from “His great love,” redeems fallen man, and gives him not only pardon, but a position in His heavenly kingdom by the side of Jesus Christ. All this was “for,” or, perhaps better, “in order to satisfy His great love.” Love led Him to do it. cc) In remembering His children in all the varying circumstances of life. The objects of God’s Love. Believers in His Son, Jesus Christ, are special objects of God's Love (John 14:21-23; 16:27; 17:23). How the Love of God reveals Itself. In making infinite sacrifice for the salvation of men (1 John 4:9, 10). The Cross of Calvary is the highest expression of the love of God for sinful man. He gave not only a Son, but His only Son, His well-beloved. Beyond the Bounds, Open Theism and the Undermining of Biblical Christianity (you can also read this book online, 3.4MB PDF). This understanding of God’s foreknowledge has united the church for twenty centuries. But advocates of “open theism” are presenting a different vision of God and a different view of the future. The rise of open theism within evangelicalism has raised a host of questions. Was classical theism decisively tainted by Greek philosophy? Is open theism a product of process theism? What philosophical presuppositions and cultural conditions are allowing open theism to flourish? How should we understand passages that tell us that God changes his mind or repents or expresses surprise? Are essentials of biblical Christianity—like the inerrancy of Scripture, the trustworthiness of God, and the gospel of Christ—at stake in this debate? Where, when, and why should we draw new boundaries—and is open theism beyond them? Beyond the Bounds brings together a respected team of scholars to examine the latest literature, address these questions, and give guidance to the church in this time of controversy. 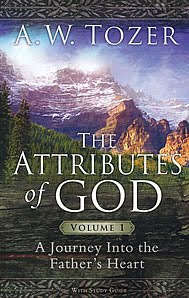 “The Attributes of God” part 1 and part 2, by A. W. Tozer (Infinitude, Immensity, Goodness, Justice, Mercy, Grace, Omnipresence, Immanence, Holiness, Perfection); read also Knowledge Of The Holy, The Pursuit of God and other works by Tozer. 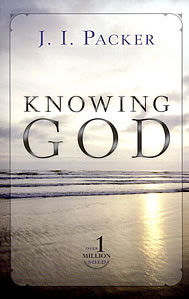 Knowing God study guides: Section 1 Introduction and Chapters 1-6; Section 2 Chapters 7-17; Section 3 Chapters 18-22.